Our high efficacy Hammer Mill is comprised of premium steel drum with horizontal or vertical cross-shaped rotor. Manufactured from the robust materials, our Wood Hammer Mill is durable as well as efficient. Easy to operate, Heavy Duty Hammer Mills offered by us are known for high performance. 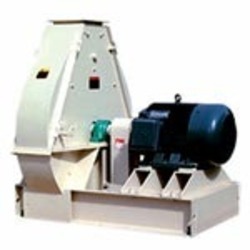 We stand among the major Industrial Hammer Mill Exporters based in India. We are one of the leading manufacturer and supplier of Wood Hammer Mills in Mumbai, India. Hammer mill is new-style an multipurpose machine, it's used for all kinds of raw materials, including jwood, tree branch, Straw, Cotton Stalk, luceme, Peanuts shell and Foodstuffs etc. 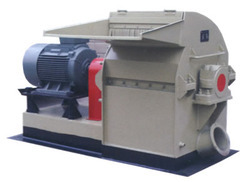 We are amongst the most reputed names in the industry, offering Wood Hammer Mill. Being a customer oriented organization; we are deeply engaged in offering a wide array of Wood Hammer Mill. Capacity (Ton per hr. ): 1.2-3 Ton per hr.